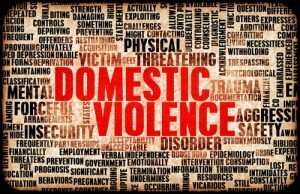 Domestic Violence involves any physical or mental harm inflicted upon a family or household member. We’ve all seen it in movies, television shows, or on the news: someone is attacked by another member of their household—usually an angry, drunk husband hits his wife. The police then show up and haul him away. But domestic violence is actually much more complicated than what we see on television. If you’ve been arrested or charged with a domestic violence crime in Michigan or Macomb County, please contact Michigan Justice at (586) 221-4100. Goran Antovski, our firm’s lead criminal defense attorney, has had many cases for and with the Macomb County Prosecutor’s Office. He possesses insider knowledge which he uses to secure the best possible outcomes for our clients. Causing or attempting to cause a family or household member to engage in involuntary sexual activity by force or threat of force. Engaging in activity toward a family or household member that would cause them to feel terrorized, frightened, intimidated, threatened, harassed, or molested. A spouse or former spouse. A person you live with, or have lived with, in the past. A “dating relationship” means intimate associations with the expectation of emotional involvement. A person to whom you are related, or were formerly related, by marriage. A person with whom you have a child in common. A minor child of any person in the above-listed relationships. A first offense is a misdemeanor and includes up to 93 days in jail and a $500 fine. A second offense is also considered a misdemeanor, which could result in up to a year in jail and a $1,000 fine. If you have at least two previous convictions for domestic assault and battery, a third offense is considered a felony and carries a possible five-year prison sentence and a $5,000 fine. Aggravated domestic violence occurs when the victim is seriously injured. The first offense of an aggravated domestic assault is a misdemeanor crime. This may result in up to one year in jail, up to a $1,000 fine, or both. The second offense is a felony crime and may result in up to two years in prison, a $2,500 fine, or both. If a dangerous weapon was used to inflict the injury, the crime is known as a felonious assault. A felonious assault charge can result in a four-year prison sentence and a $2,000 fine, or both. Michigan also provides a “first-time offender plea bargain” for those charged with domestic assault. This plea bargain requires the consent of both the prosecutor and the victim. If granted, a person charged with assault and battery must plead guilty, but the court will withhold entering judgement. The case is then put on hold while the accused completes a series of conditions ordered by the court—much like probation. The case will then be dismissed once probation is finished. However, if the probation is not completed to the court’s satisfaction, the person may be found guilty and sentenced accordingly. I’m facing Domestic Violence Charges—What should I do now? A criminal conviction can seriously impact your life. If you have been charged with any crime, including charges of domestic violence, please don’t wait to contact our firm at (586) 221-4100. Attorney Goran Antovski and the Michigan Justice team will investigate your case and work diligently to help you determine the best course of action. Only a professional that is familiar with criminal law and the local court system will know how to protect your rights and freedom.